A committed political activist, Andrés Montoya didn’t shy away from confrontation or controversy. As student-body president at Fresno State, he fought against tuition hikes and was a forceful advocate for underrepresented groups. In 1991, after he defended a sign at a Columbus Day rally that said “go home whitey,” a recall effort was held to remove him from office that ultimately failed. 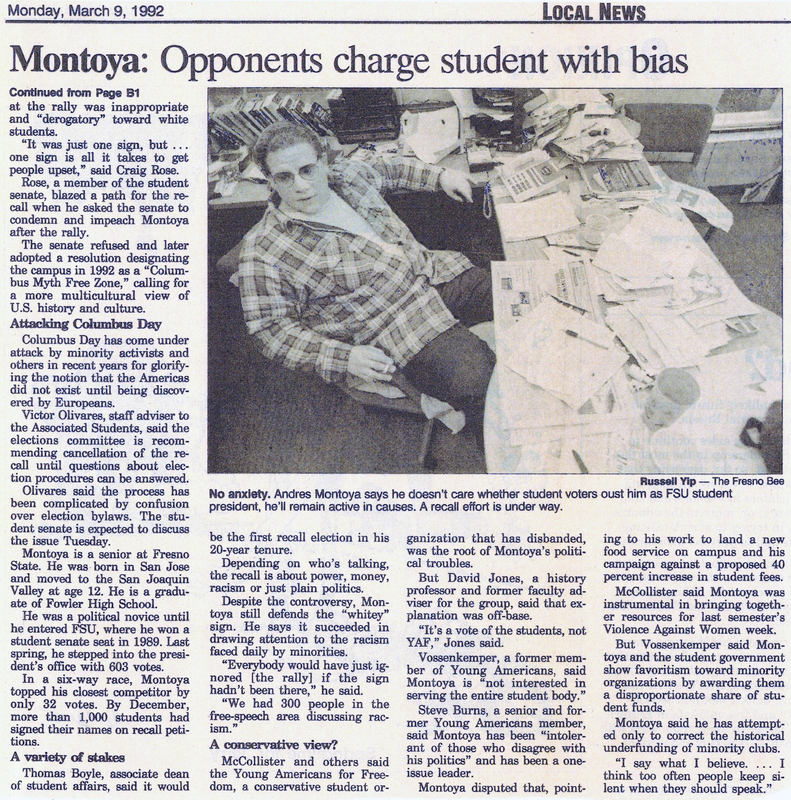 Below are articles about the incident and his student activism.